Enter your email address below to receive a notification when Wickbox starts accepting new sign-ups! Enter your email address below to receive a notification when Wickbox is accepting new sign-ups again. A luxury candle subscription curated to your unique scent preferences. Use code MOMSDAY and get a free gold wick dipper in your first box that will allow you to extinguish your candles virtually smoke-free ($15 value)! 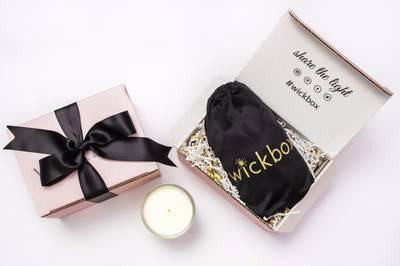 Your Wickbox will ship on or around the 15th of the month. For subscribers who sign up after the 20th, your first box will ship the following month. Your subscription will automatically renew on the 23rd of each month for the following month's box. You can skip a month or cancel your subscription by logging into your online account at any time. Wickbox delivers luxe, fragrant candles to your door every month. Our brand partners focus on quality like lead-free wicks, superior wax, and beautiful containers. Subscribe and fill out a scent profile so we can handpick your candle based on the scents you love! Check your order confirmation email for all the details about your subscription. I’m pretty picky about subscription boxes - especially ones that contain scents and scented beauty products, etc. As both a candle lover and someone with ASD, the possibility of getting a scent in a subscription that could cause sensory overload and anxiety is nerve wracking & has happened too many times. Wickbox has been an INCREDIBLE experience! The scent profile is just detailed enough to really send you products and scents that you not only will enjoy, but also haven’t bothered me in the slightest! Candles and the right scent can be deeply soothing for that anxiety that comes with ASD, and every product I’ve received from Wickbox has been quality, aesthetically pleasing, totally my favorite scents, and it clearly shows how much they actually pay attention to your preferences, which many boxes don’t do. Trying new candles can also be difficult for me (especially in store as you can be easily overwhelmed by scents) and this has been an absolute ideal solution! Thank you wickbox for the perfect candle subscription - quality of life (and candles haha) vastly improved! The Most Wonderful Scents All Year! Our first candle we received from Wickbox was the perfect scent for us, giving our room that woodland scent we sought after and rarely find. 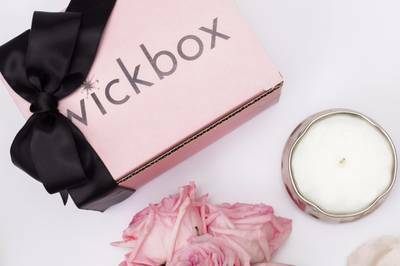 Wickbox filled our desires at the very first opportunity, and I would recommend to anyone wanting an elegant, subtle yet noticeable smell that just brings a smile as it lingers gently with perfection. This isn’t just any candle, this is a Wickbox candle. I have been with Wickbox for 6 months now and I just love it. I have tried other candle of the month clubs and none of them come close to Wickbox. Wickbox is in a league of their own. The thrill and excitement every month of receiving your package and the anticipation as you're opening it.Well, you get that with any candle of the month club. 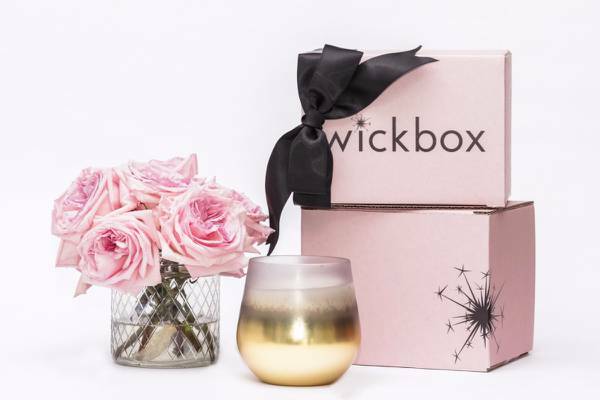 But what sets Wickbox apart from the others is knowing that your going to get a candle that you will love because it's based on scents you like. It's called a scent profile and Wickbox is the only one that has it. You tell them the scents you like And they pick out a candle just for you. And the way it is packaged is just perfect. Every candle comes in a satin black bag with a description card and from time to time there is extra goodies in the box. Even extra candles. And then there are the jars that your candle comes in. They are so beautiful. I have even turned one jar into a nightlight beside my bed. If you love candles then you have got to treat yourself to this wonderful club. I promise you will love it. I’ve been a subscriber for over 2 years and I look forward to my candle every month and get all excited when I see my Wickbox has arrived. I love the way the candles make my house smell and improve my mood. It makes a big difference that they only send me candles that match my scent preferences. I also love the beautiful containers they come in. They look so pretty in my house. I’m really glad that I found Wickbox! Love these candles- they are all very special. The candle smells amazing and I loved that it had matches in the lid so I didn't have to find a lighter. I also received a sample-sized candle that smelled nice as well. Excited to have found a subscription to feed my candle addiction. This is my favorite surprise every month. The candles are beautiful and special. They are all packaged incredibly well. I highly recommend if you love candles!